What will they think of next? De-Stoned Olive Oil? To some producers, De-Stoned Olive Oil is a choice made for “better” flavor characteristics and some find the oil to be sweeter when the stones or pits are removed before pressing. Our new selection is RARO Denocciolato Extra Virgin Olive Oil from the Salerno area of Campania. Denocciolato means that this is a de-stoned oil. 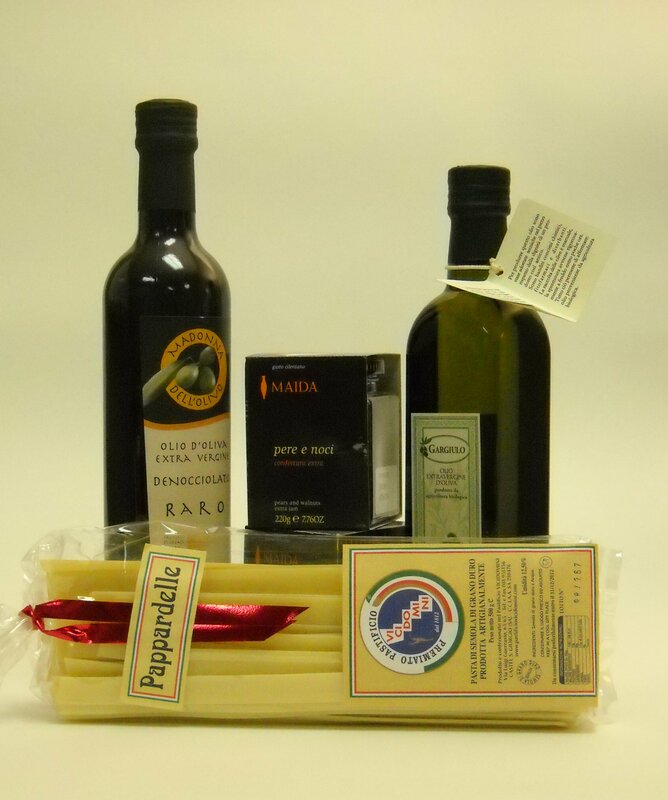 At Olio2go, we also carry Gargiulo’s Venus Extra Virgin Olive Oil from Sorrento, pastas from Pastificio Vicidomini near Naples, and Maida Pere e Noci Jam from Salerno. To make the most of these traditional oils, pasta, and jam, we sought a good reference for recipes that are representative of the region. Take a look at the recipes on the site of the Italian Trade Commission and also the more user-friendly recipes at RusticoCooking.